The first of our Zachary Taylor facts has to do with his ancestry. One of his direct forebears was Elder William Brewster, one of the pilgrims who arrived aboard the Mayflower. Although America had been settled by Europeans since 1492, its English history, heritage, and culture began with the Mayflower’s landing in 1620. Brewster was an English separatist who called for independence from Britain. Taylor’s father, Richard, served as a lieutenant colonel during the American Revolution which brought that independence about. One of our little-known Zachary Taylor facts is that he was related to another American president. Two of his other ancestors who came over on the Mayflower were Isaac Allerton and Fear Brewster. From their line, came Taylor’s second cousin, James Madison, who would become the country’s 4th President, serving from 1809 to 1817. Madison is considered to be the “Father of the US Constitution,” since he was the one who drafted it. He also authored and championed the Bill of Rights. Taylor’s genealogy ensured that he was born well-off. By the time of his birth, his family had become successful plantation owners in Orange County, Virginia. Since the region was already over-farmed, however, his father decided to move the family to Louisville, Kentucky, in search of better opportunities. As that state developed and its economy grew, the family became even richer, moving from a log cabin into a brick house. They eventually owned 10,000 acres of land and had 26 slaves to manage it. Taylor joined the military in 1808 at the age of 24 in response to British naval attacks on American ships. He rose quickly through the ranks, and, by 1811, he was given control over Fort Knox after its previous commander abandoned it. He saw action the following year in the War of 1812 at Fort Harrison in Indiana, fighting not just the British, but their Amerindian allies as well. He conducted himself so well that he was promoted to colonel. Although America was founded on the basis of an egalitarian society free of European class hierarchy, and though its Bill of Rights ensured everyone had legal protection, such ideas of equality and fairness were never intended for Amerindians, Africans, and the country’s other minorities. Despite his military career, Taylor still had enough time to engage in business. Using his family’s wealth, he bought more land, and an increasing number of slaves to manage it. At the peak of his private career, he owned over 200 slaves. One of the more contentious of our Zachary Taylor facts involves his success against the Seminole Indians in 1837. He defeated them at the Battle of Lake Okeechobee in Florida on Christmas Day. This was one of the biggest conflicts between the US and the Amerindians in the 19th century, and was known as the Second Seminole War. Although Taylor’s forces were prevented from moving further south and expelling the Seminoles, he was promoted to the rank of Brigadier General. Although the Second Seminole War blocked America’s southward expansion, it also kept the Seminoles from rising up again. As such, Taylor became a household name and people started calling him “Old Rough and Ready.” To make sure that there would be no third war, however, Taylor wanted to exterminate all the Seminoles. He therefore asked the government to bring in Cuban bloodhounds to hunt the last of them down, but they refused his request and condemned him for it. In 1846, President James K. Polk sent Taylor to the Rio Grande to protect the Union against attacks from Mexico. Despite having fewer men, Taylor defeated a larger Mexican force before attacking their city of Monterrey. It fell, but Taylor showed them mercy by giving them a two-month ceasefire. Taylor’s 4,600 men then went on to defeat Mexican General Santa Anna’s 15,000 troops. This made Taylor a hero, and, riding on his popularity, he put his name up for the upcoming presidential elections. One of our little-known Zachary Taylor facts is that he may not have wanted to become President at all. His military victories had earned him a broad support base, not just from his own Whig Party, but from the others as well. Historians believe he was pressured into the elections, since Taylor’s response was that he would run, but not as a partisan loyalist. Other sources suggest that while he did submit a nomination, he didn’t think he had a chance of winning it. Taylor owned slaves, but did not support policies which would have extended the scope of slavery in those states where it was legal, nor did he believe in legalizing slavery in the new western territories since he felt they were not ideal for cotton and sugar production. Upon becoming President, he spent the first few months at his military post. When he finally set up his cabinet, he failed to appoint several of the most prominent Whigs of the time, choosing to set up a more diverse government instead. Perhaps the most amusing of our Zachary Taylor facts involves how he was nominated without even being told. The Whig Party chose him to be President, even though he wasn’t at their convention. They sent him a letter to tell him of the nomination, but didn’t pay for the postage. When the letter arrived, Taylor refused to pay for the stamp, so the postman wouldn’t give him the letter. He therefore didn’t know about his own nomination until several weeks later! Most people ride horses by placing their legs on either side of the animal’s body, squeezing their legs together to stay on. One of our most curious Zachary Taylor facts, therefore, is that he rode sidesaddle (when the rider puts both legs on the same side of the horse) when fighting. Taylor did this because his legs were very short, and he needed help to get on a horse. To save time, he rode sidesaddle, especially useful when he needed to mount quickly. Taylor was a military man who still found time to conduct his business and raise a family. So, it’s strange that he would ban his own daughter from marrying another military man, but he did just that in 1832. His 17-year-old daughter, Sarah Knox, was being courted by Lieutenant Jefferson Davis (who would later become the President of the Confederate States of America). Taylor opposed the courtship because he wanted to spare his daughter from the difficulties of a military life. Another of our little-known Zachary Taylor facts is that he never fully mastered the art of writing. When his family moved to Kentucky, there were few very schools in the state. This meant that while his parents were well-educated by the standards of the time, Taylor’s own education was sporadic, as teachers came and went. Though described as intelligent, he never mastered spelling and grammar. Taylor was literate – it’s just that he was a terrible writer and his penmanship was barely legible. Doctors today think Taylor died of cholera, but, back then, they had other ideas. Taylor died on the Fourth of July while at the Washington Monument during a fund raising event. He had consumed cherries and milk before he fell ill. Taylor died several days later, and his doctors therefore blamed his death on eating cherries with milk. This gave rise to the enduring American myth that cherries and milk are a lethal combination, despite modern doctors insisting this isn’t true. 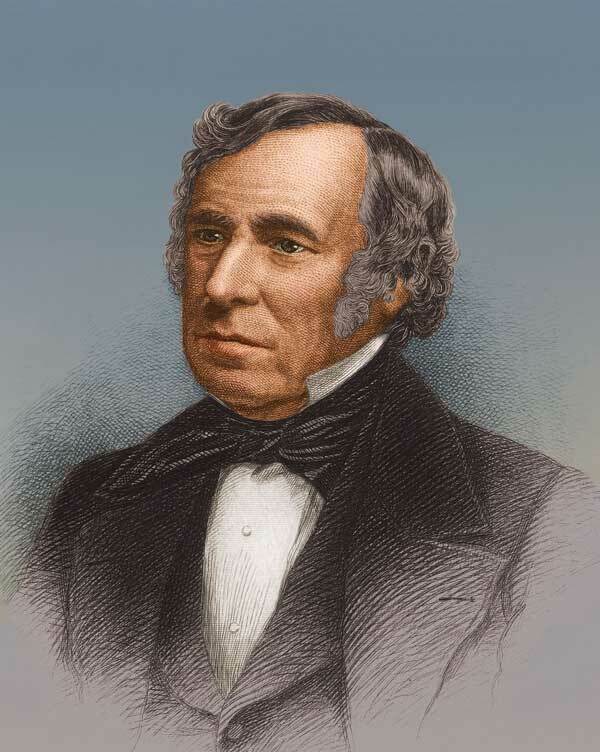 Zachary Taylor was a direct descendant of the very first English pilgrims who arrived aboard the Mayflower in 1620. Taylor may not have wanted to become the country’s 12th president, but when he did, he set up a diverse government, not one devoted exclusively to his Whig Party. He was also a businessman and a slave owner, but did not expand the scope of slavery in the USA. He was instrumental in the Indian Wars, which increased America’s territory at the expense of the Amerindians and the Mexicans. His death also created the myth that milk and cherries are a poisonous combination.